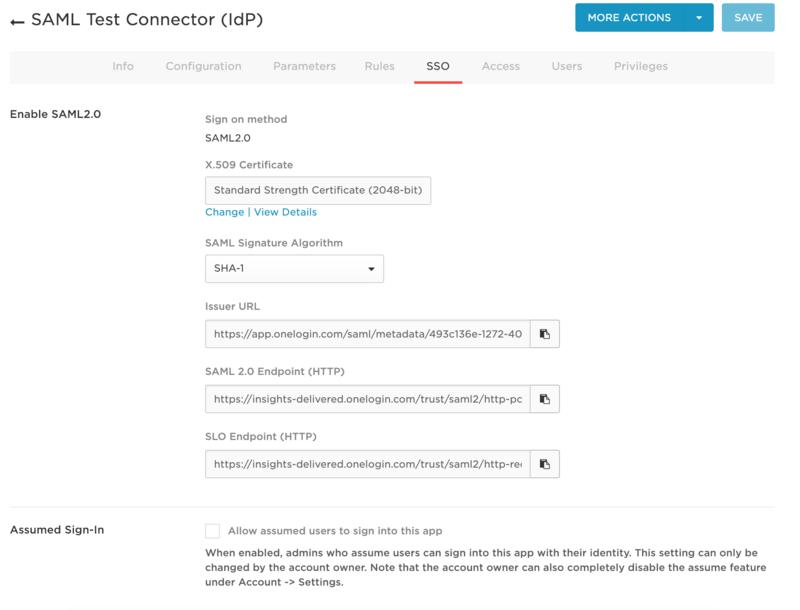 SAML SSO gives users a centralized and secure way of controlling access to their organizations. 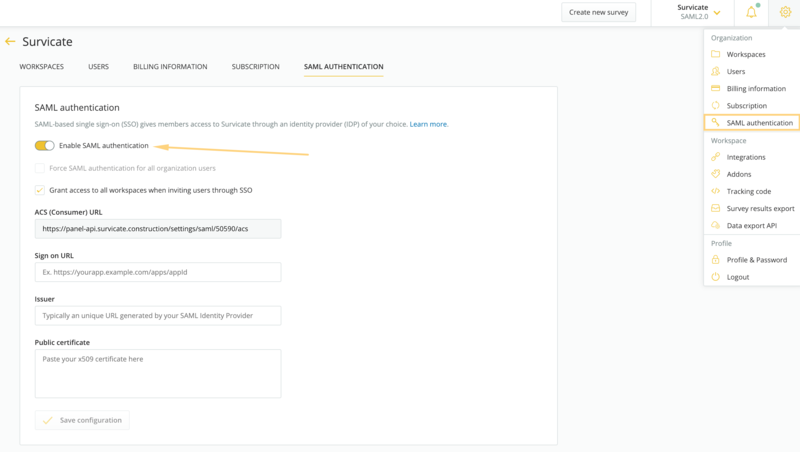 When you join an organization that uses SAML SSO, you sign in through the organization's IdP and your existing Survicate account is linked to an external identity that belongs to the organization. 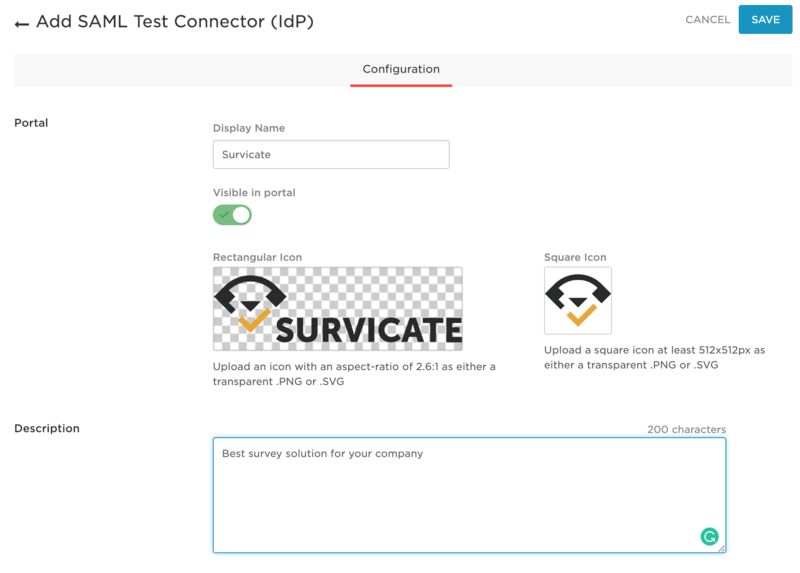 Before you start you need to make sure you are the owner of your organization. 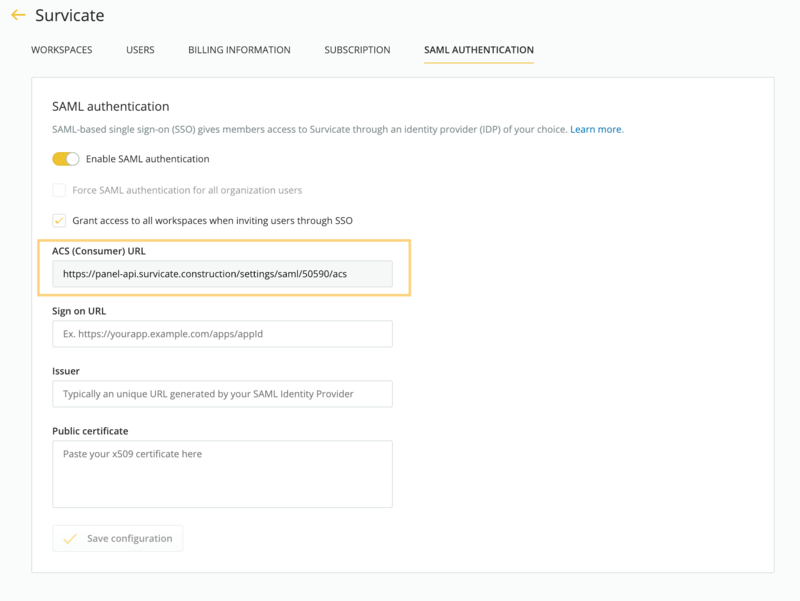 Please go to Settings > 🔑SAML Authentication and click Enable SAML authentication toggle. Leave the tab open, as you'll need the data from here. 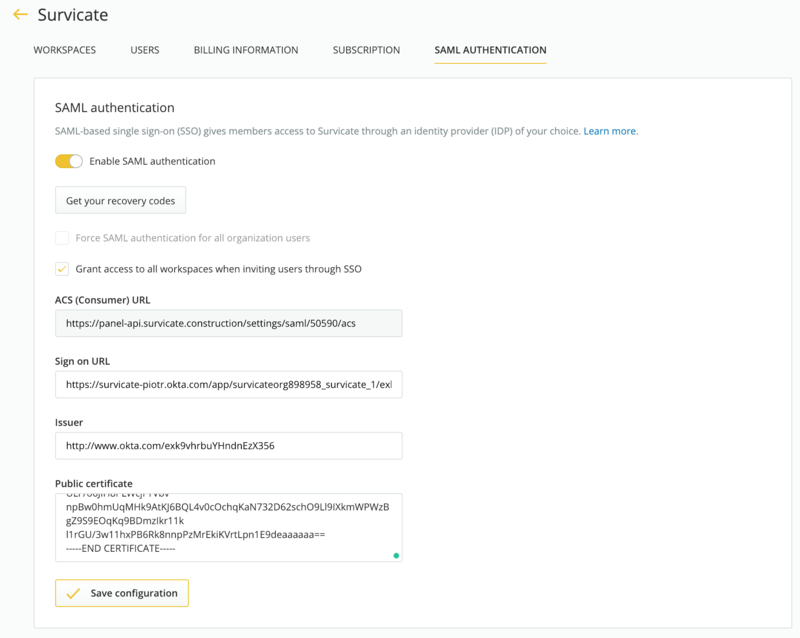 In Survicate SAML Authentication tab, paste the Issuer URL to Issuer field, SAML 2.0 Endpoint to Sign on URL and X.509 Certificate to Public certificate. Once you click "Save", you will get a list of recovery codes. 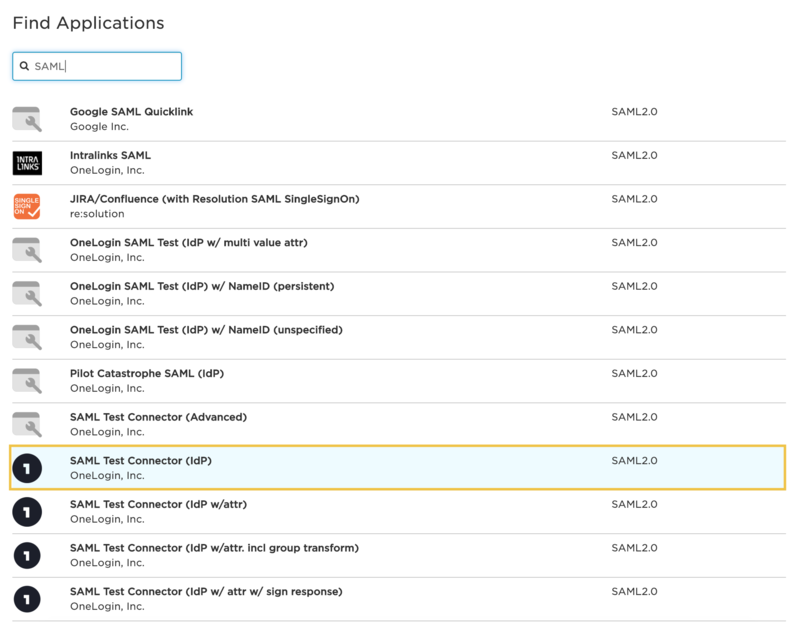 Please save them – you will need those to bypass the Single Sign-On when you don't have access to SAML provider anymore.